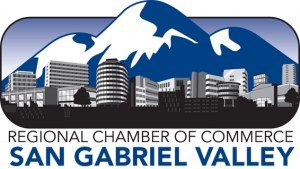 The Regional Chamber of Commerce - San Gabriel Valley is strengthening your business by providing you with the monthly Human Resources Seminars. Keep up to date on new legislation and the hottest legal trends affecting businesses today. 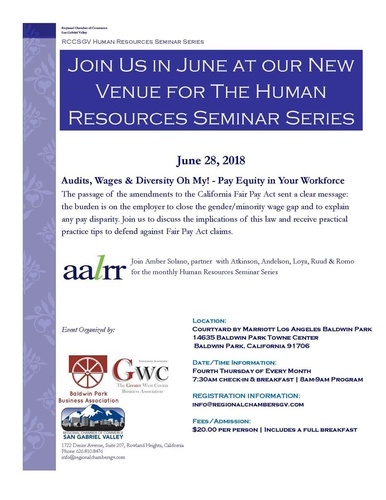 The seminars will be presented by the legal firm of Atkinson, Andelson, Loya, Ruud & Romo. The topics that will be covered in the series are Workers Compensation, Independent Contractors vs. Employee, Wage vs. Hourly, Right to Privacy, Social Networking, Credit Card Processing, Leave & Disability Issues, and more.